Anthony Vaccarello staged Saint Laurent's Spring '19 show in a shallow pool to create the illusion that the models were walking on water - many of which did so in towering platform sandals just like this 'Hall' pair. 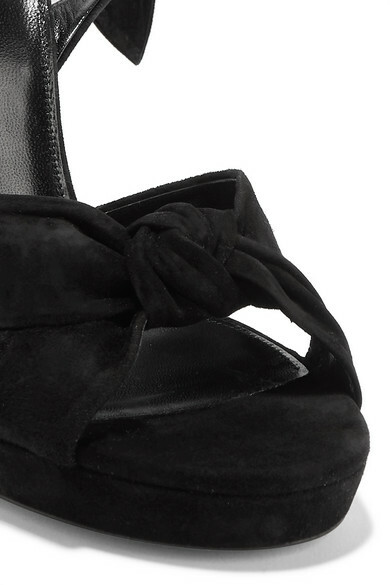 Made in Italy from black suede, they have long straps that elegantly wrap around your ankles a couple of times. Take your cue from the brand's styling and wear them with a mini dress and tights to spotlight the leg-lengthening effect. Shown here with: Saint Laurent Shorts, Saint Laurent Blouse, Saint Laurent Clutch.